- Homestay rooms available. We are TESOL qualified online English teachers that love to meet people from all over the world. - We have hosted international students with our family since we were young and are excited to share Australian culture with you. 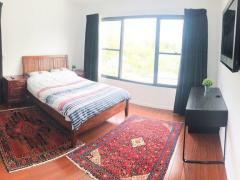 - The fully furnished room is in a brand new, modern home in Petrie Terrace (4000). 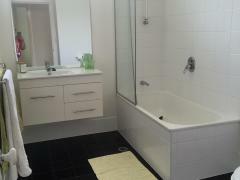 - You will have access to a modern bathroom with shower and laundry area for washing clothes. 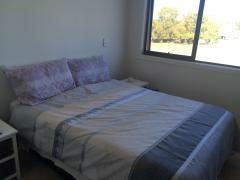 - Only an easy 8 minute walk to Kelvin Grove Village and QUT Campus. You can take the free shuttle at QUT Kelvin Grove to go to QUT Gardens Point or the city. - Brisbane CBD is only a 20 minute walk away or you can catch a bus to the city that takes 5 minutes. - We provide 2 x meals per day and snacks for lunch. Good quality, fresh, family style meals. Internet and utilities are included.